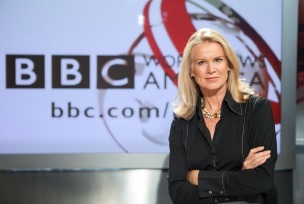 The Chattanooga Women’s Leadership Institute has confirmed Katty Kay, award-winning lead anchor for BBC News and best-selling author, as the keynote speaker for their 14th annual IMPACT Leadership Dinner. The event will take place on Feb. 21 from 5:30-8:30 p.m. at the Chattanooga Convention Center, 1150 Carter St. in Chattanooga. CWLI also announces Gina Dhanani, vice president of The Double Cola Company, as the 2019 IMPACT chair. "As a British journalist in Washington, DC, Kay looks at Washington from a different angle and offers a fresh perspective on American politics and international affairs that is rooted in her global background," organizers said. "Kay offers an interesting view on both current political events and issues impacting women today. When she is not busy making sense of the current political climate, she writes about the value of women in business." Organizers said, "One of her New York Times best-sellers includes Womenomics: Write Your Own Rules for Success, where she and Claire Shipman examined the workplace revolution and inspired women to take control, dream big and discover a different way of weaving work into their lives – and in the process create more profitable companies with happier and more productive employees. Kay and Shipman have also co-authored The Confidence Code - The Science and Art of Self Assurance - What Women Should Know, which presses the importance rejecting perfectionism, to take risks and choose to be confident." By bringing Katty Kay to Chattanooga, CWLI Executive Director Kim Shumpert believes Kay’s wisdom on women-specific issues will leave a lasting impact on Chattanooga. “CWLI serves as a resource to address issues relevant to women. We know that women are highly effective when they have the scaffolding they need to create great work. This event is for anyone who wants to know more about how to build an environment that supports great work. Ms. Kay has compiled the data and will share with us the science that drives a highly effective female workforce. Our hope is that by the end of the evening we will have a better understanding of the art of blending competence and confidence to improve outcomes for professional women,” said Ms. Shumpert. For more information about the event, including sponsorship opportunities, call 423-394-8173 or email Kim Shumpert at kim@cwli.org or Alese Taylor at alese@cwli.org. A limited number of tables and individual tickets will be available for purchase online at CWLI.org/impact. "Special thanks to our 2019 corporate partners Blue Cross Blue Shield of Tennessee - Community Trust, First Tennessee Bank, Elliott Davis, and The Trust Company," organizers said.